Summary: This story starts shortly after Otis, a little brown bat, has left his mother and is living on his own. Watching how Otis spends his days and nights, the reader will learn the physical characteristics of bats, their diet, where they live, how they hunt using echolocation, and their life cycle. The illustrations mostly portray Otis at night in a variety of settings: roosting in an abandoned building, hibernating in a cave, flying through the sky, and hunting for insects in a meadow. At the end, Otis has found a mate and is settling down for a long winter’s sleep. 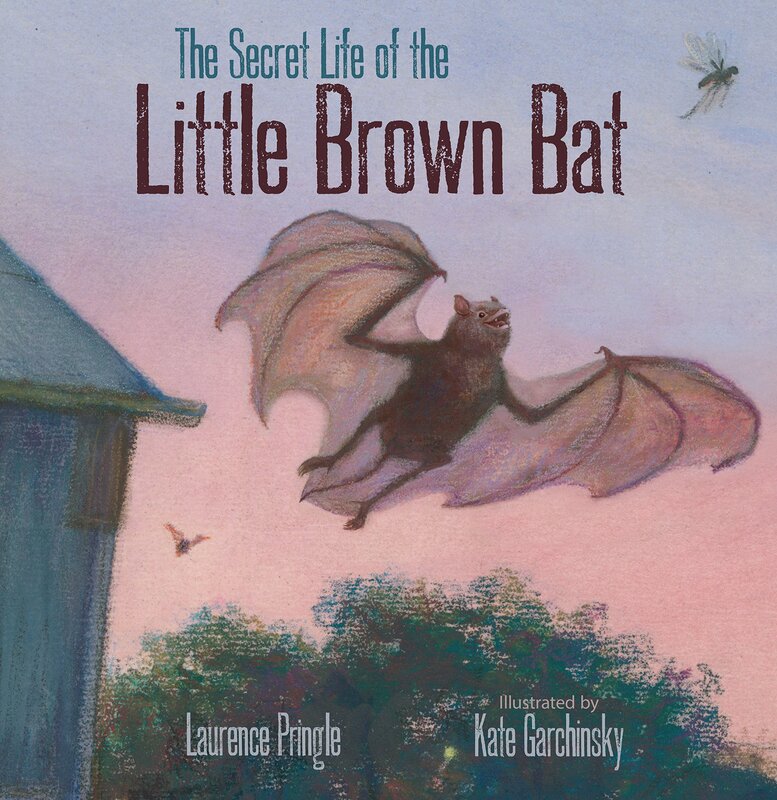 Includes two pages of additional information about little brown bats and a glossary. 32 pages; grades 1-4. Pros: An excellent introduction to a bat’s life, told in a narrative form that will hold readers’ interest. The pastel illustrations on the dark background provide striking portrayals of Otis (whose name comes from his species’ scientific name, Myotis lucifugus) and the other bats. Cons: Otis didn’t really seem to be leading a “secret life”.